I've talked more about toilet paper in the last month than maybe ever before in my life. 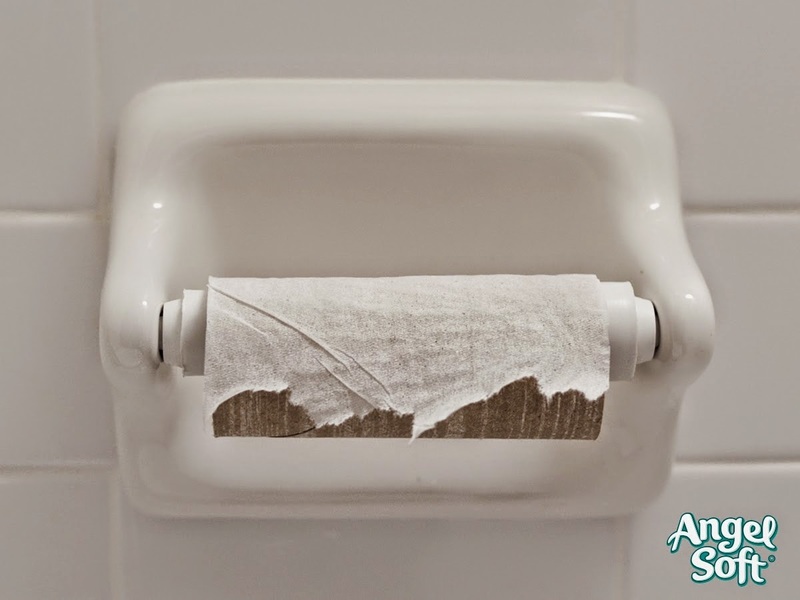 I went to California and talked toilet paper at BlogHer. I took pictures on an actual toilet and yes, talked about toilet paper some more. I even gave a year's supply of toilet paper away (congrats to Kristen, the giveaway winner!). One of my favorite pictures from the Angel Soft® booth at BlogHer (Angel Soft® was a sponsor). I've been working with Angel Soft® to promote their #SheetOutOfLuck video campaign to discuss embarrassing #SheetHappens moments and how Angel Soft® can prevent them. Now I'm joining in on the video fun. Check out my #SheetHappens moment. I got the whole family involved in this one. You know the old saying "A family that vlogs together becomes YouTube stars together...." That's a saying right? Well, anyway, I know we definitely had fun together making this video. This whole campaign has been fun. Not only does it have THE best hashtags on Twitter, but I also got to laugh and have fun talking about something that we all use....toilet paper. I love a company that provides a useful product and has a sense of humor. Kudos to Angel Soft®. Check out some of the Angel Soft® #SheetOutOfLuck videos too. To learn more about Angel Soft® check out their web site, Facebook page and follow them on Twitter. I received financial compensation for this post from Angel Soft® however all opinions contained are my own. Oh gosh YOU GUYS ARE ADORABLE!!!! Seriously, you're family... adopt me? So funny! I kind of expected you hobbling out of the bathroom with your pants around your ankles. That is seriously so funny. I love it and I love your kids (and you, of course)!